Noxster specializes in internet marketing and SEO Services for Medical Doctors, health agencies and ENT Doctors. Our company provides medical website design, custom content development, SEM marketing, Google Map Optimization, Image Optimization, CMS API Integration, Consulting, e-Commerce services and SEO Services to ENT Doctors. Our Los Angeles Medical Doctor SEO Consulting team is domestically located in Los Angeles, California. We do not dedicate freelancers, offshore talent, or white labeling services to manage your ENT internet marketing campaign. Every Noxster team member is located in a central office right next door to Beats By Dre, Maker Studios and Sony Pictures. Our Copywriters are Google Certified specialist and strictly Medical-based content writers. We do not integrate generic ghost writers into your practice. Due to laws, strict regulations and branded guidelines, it’s to risky to put a non Health industry Copywriter onto our Medical client’s accounts. The same project team members who are experts in optimizing Medical Practices are accountable for: SEO, SEM, Social Media and Web Design Services. Here is a real life client Case Study that goes into the nuts and bolts of ENT Medical Marketing and the results that can occur when you hire an SEO Medical Marketing team like ours. 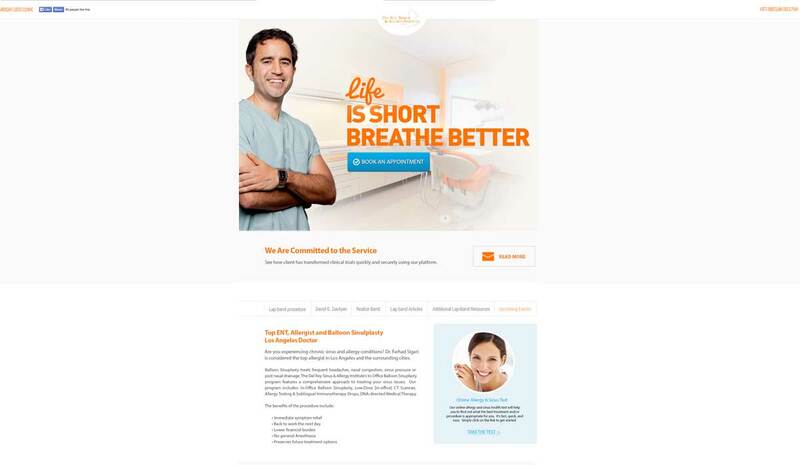 Noxster was hired to re-brand an ENT Doctor located in Marina Del Rey and transform their web presence from a pigeonholed approach only targeting a single destination. We were also responsible for creating a digital strategy that enhanced visibility throughout the major city of Los Angeles, California. We created a scalable fully functioning responsive ENT website for smartphones and tablets. The main objective was to maintain local business derived from Marina Del Rey, Playa Del Rey and Culver City, while canalizing on the potential gains of an SEO Campaign in Los Angeles. Noxster was hired on for both SEO and Web Design Services. The backend is a fully customized WordPress website wherein each module and api was specifically built for our ENT Doctor. 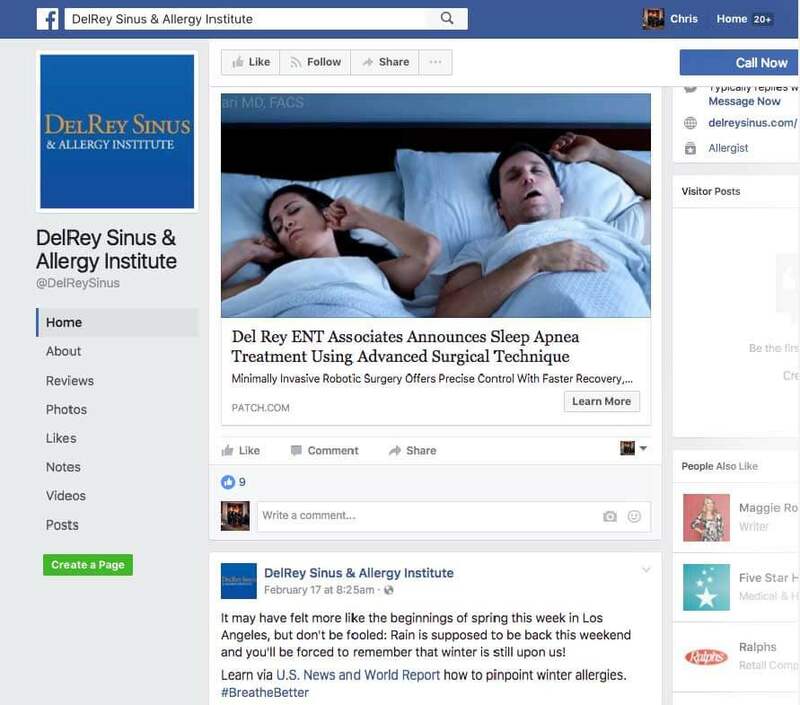 Ear, Nose and Throat Doctor SEO Marketing. Noxster created a lead-generation strategy which included SEO, Local Optimization within Google Maps, Local Map Listing in 3 pack, Website Redesign and Social Media Marketing. Noxster also creates custom graphics on multichannel marketing platforms to ensure branded phrases. 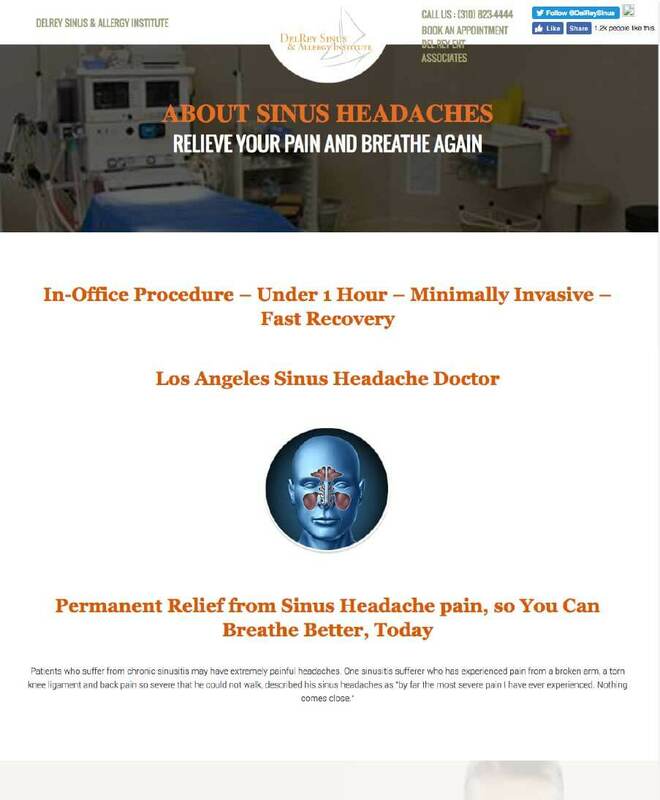 Below is a Case Study of the work done for a Los Angeles ENT Doctor that hired Noxster for a full blown internet marketing strategy. 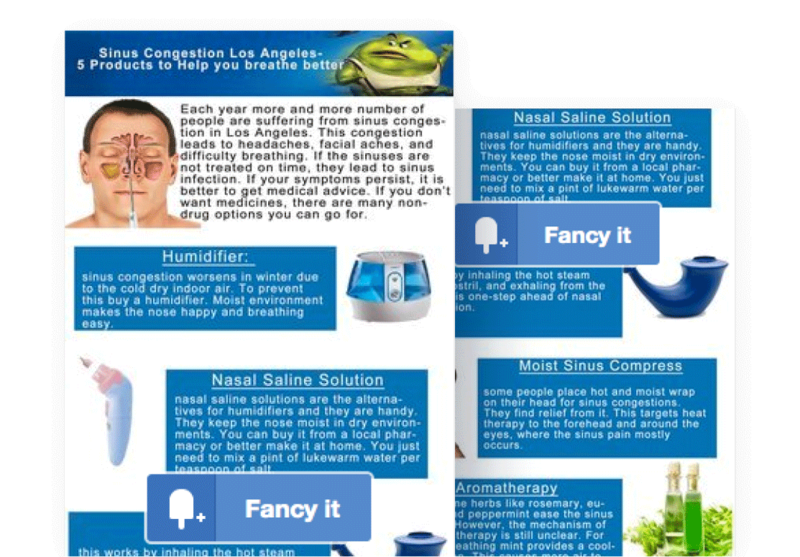 Noxster developed Facebook Display Ads to drive engaged visitors towards their site. 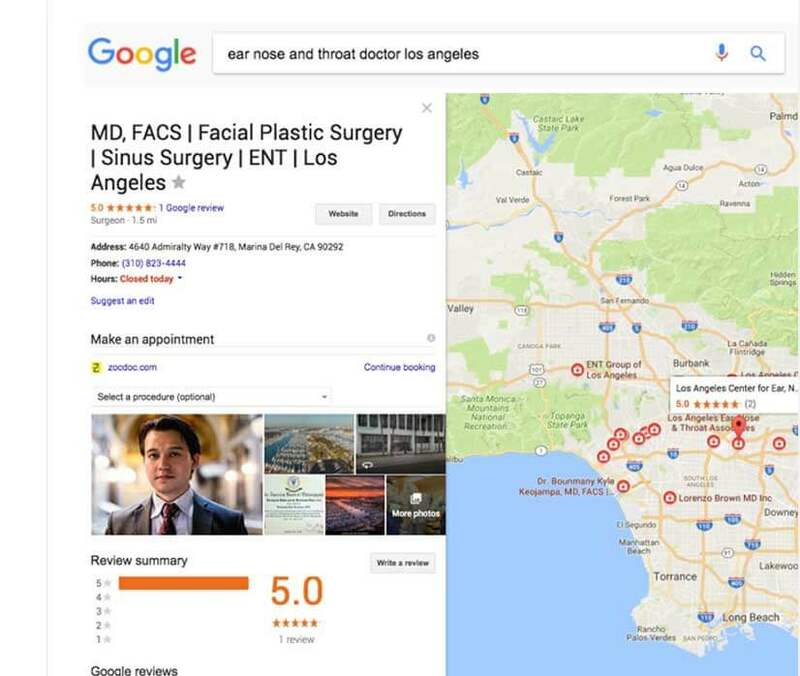 With multiple locations, surgery procedures and client evaluation offices around Los Angeles, Noxster optimized a custom “Google My Business” local marketing campaign targeting specific areas within the Los Angeles region and other cities where qualified lead potential was determined. 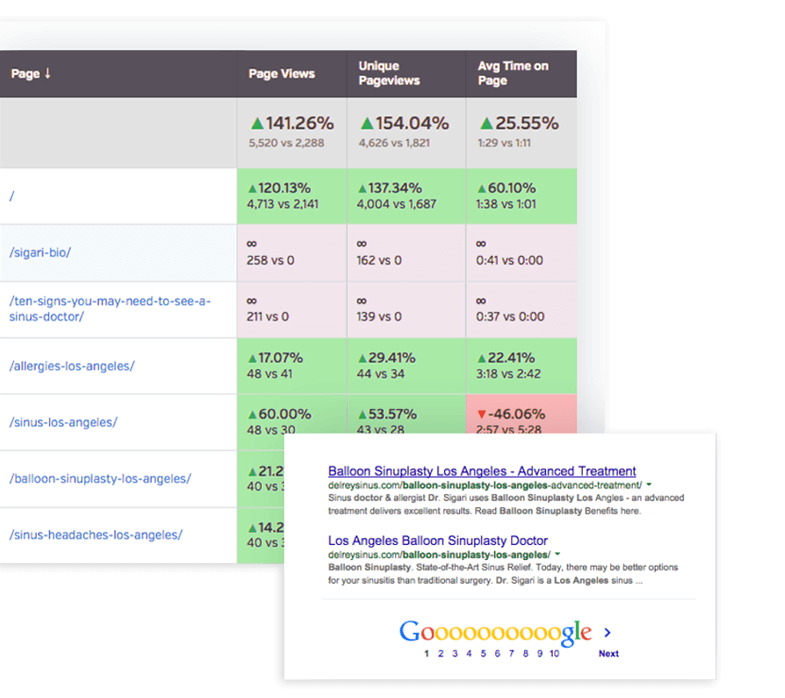 Enhanced the local listing through image optimization, reviews and optimizing the local map listing in the Local 3 pack for “Ear Nose and Throat Doctor Los Angeles.” With the use of an on-going SEO Management retainer, our ENT Doctor Dramatically increased their inbound leads and local presence around Marina Del Rey and Los Angeles. While we started off with no Business Listing Page, Noxster was brought on to manage all forms of Local SEO Optimization for our Facial Plastic Surgeon client. Google Analytics gives us key insights into the performance and trends of your Internet Marketing Strategy. Most ENT doctors are so busy with check ups, surgeries and paperwork that they have little time to review the core analytics derived from Google. Noxster wrote unique content for product supplements throughout HealthyDW’s website. We wrote landing pages, blogs, press releases, new updates and social media posts. We were also responsible for daily tweets within the onsite optimization. Our creative content was turned into original charts, branded messages and hashtag optimizations. To calculate the ROI for each individual media buy, marketing spend and overall efforts we instilled custom KPIs, flowcharts and data driven Call to Actions in order to understand where the previous website was lacking engagement. 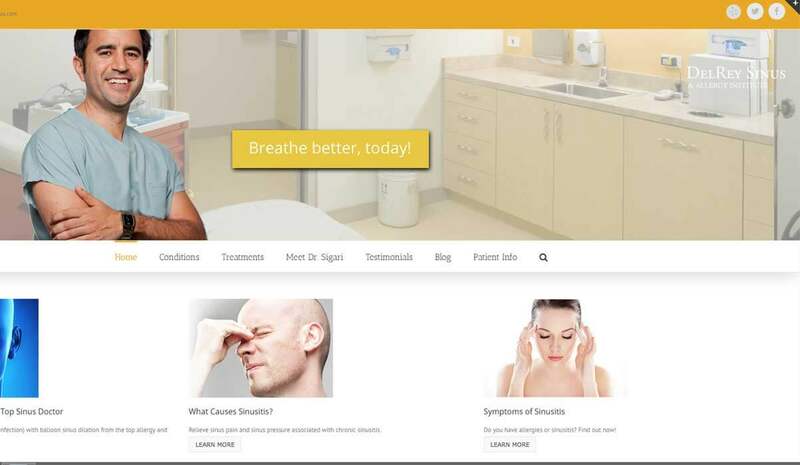 Noxster immediately took over the SEO and SEM Marketing campaign for the ENT doctor while we initiated the rebrand. To help us determine the weak points within the current UI, we integrated campaigns with call tracking metrics, dynamic phone number insertion, form request pages and contact forms to determine the amount of phone calls and form submissions resulting from each campaign. 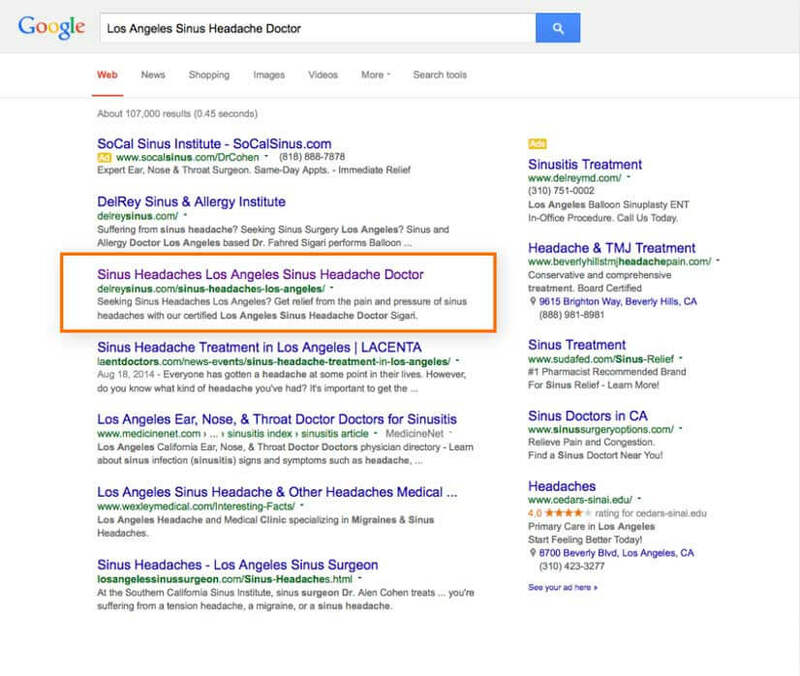 Here is a live screen shot of the success that Noxster had with our Organic SEO Marketing Strategy for our balloon Sinuplasty doctor in Los Angeles. You can see that we increased the overall organic website traffic by141% and furthermore, we increased the time spent on the website by over 25%. This is real time data that you will not get from your secretary who is busy answering the phones. You will also see a smooth transition from Marina Del Rey to landing pages focused on the Los Angeles, California area. Within the first month and beyond our medical doctor content writing helped create tangible GEO Targeted Leads. Enhanced the local listing through image optimization, reviews and optimizing the local map listing in the Local 3 pack for “Ear Nose and Throat Doctor Los Angeles.” With the use of an on-going SEO Management retainer, our ENT Doctor Dramatically increased their in-bound leads and local presence around Marina Del Rey and Los Angeles. While we started off with no Business Listing Page, Noxster was brought on to manage all forms of Local SEO Optimization for our Facial Plastic Surgeon client. When you create custom content on your website, you need to make sure that you have content on your Twitter, Instagram and Facebook accounts. If you fail to continuously update the open market, Google will find your social media stale. If your medical practice is not engaging in an on-going content distribution strategy, your link building and website will falter off of the 1st page of Google. Engaging content, images and referral links to third party blogs keep the trust of your social media trending upwards while also never spamming your clientele. We created Custom Graphic Communications under brand identity on Facebook and Twitter. In addition to creating an inbound lead strategy, Noxster integrates Social Media to ensure a high quality ENT Internet Marketing Strategy. Social Media is a key indictor that Google looks to when ranking the overall well-being of your website. Medical Practice Message. Content marketing is the best form to educate the open market. Noxster manages and works with our medical ENT Doctors to promote and stimulate organic links and read rates. This example is a post on LinkedIn that generated over 201+ reads. Every single piece of content that is distributed will generate an organic response rate that is identical to the value of referral site traffic. Within Analytics we will monitor direct and refer all traffic sources. Noxster will count the number of third party read rates that our content has generated on a monthly basis. Custom Link Building Strategy includes the delivery of Lifestyle marketing content. This strategy ensures that your ENT website is generating an organic amount of referrals, reads and shares. If your website does not have people referencing content, services or information, Google is not going to find it as a top 10 company on page 1. Our SEO Consulting and Strategic Implementation Strategy creates a share rate in alignment with how humans refer other doctors through word of mouth style communication. 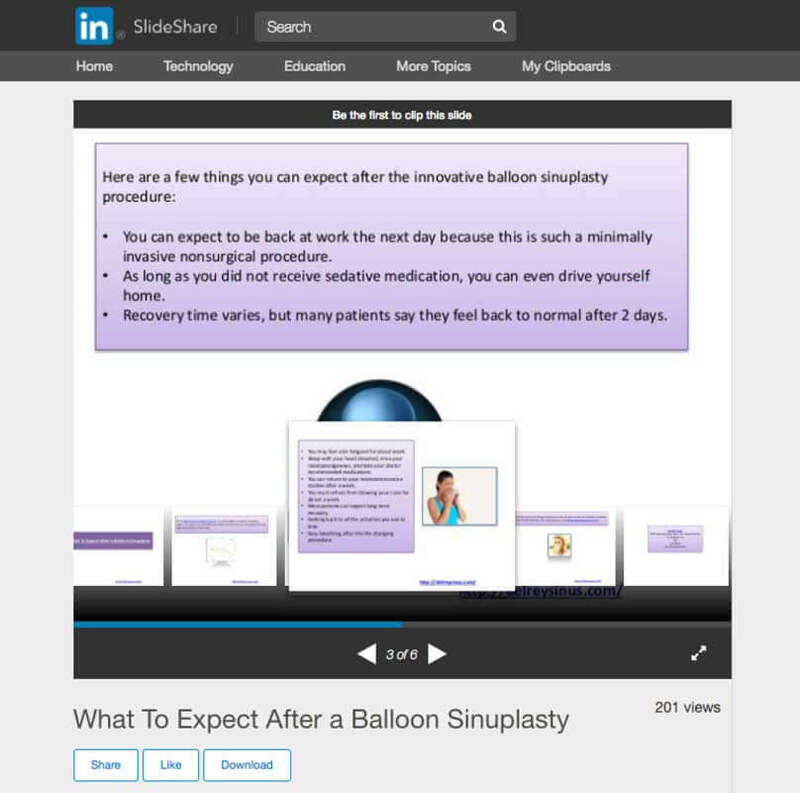 This third party SlideShare was uploaded on LinkedIn and openly shared information on 5 fun facts of “What to Expect After a Balloon Sinuplasty.” This one upload has generated over 200+ unique views and reads. Responsive web design for all major browsers, smartphones and tablets. Most doctors or ENT Doctors will be sold on specialized internet marketing specialists that use template-based websites. This prohibits your website to be a fully functional inbound marketing machine. Furthermore, outside of being beholden to the internet marketing firm that specializes in ENT marketing, you won’t be able to own or operate your own domain. They will include hidden fees for website hosting and continuously mention “proprietary” information which means that you are spending on their assets vs. your framework.This prohibits you from gathering your real time data,tracking and conversions. Google will only know about the spend under the SEO company that you have hired. At Noxster, we develop custom websites based on your design preference, content needs and assets readily available. While you think you are saving money going with a template, it is a on-going fee that within 2 years is more expensive than investing in a custom framework. WordPress is an open source CMS, which means that you don’t need to work with any web designer, SEO firm or marketing specialist. A unique link building process and the distribution of content from third party profiles. To help create social authority on the web, we created custom doctoral infographics that helped users who were looking for 5 reasons, top 10 list, or other informative facts about under-going procedures from ENT Doctors. These are unobtrusive ways to generate traffic to your website in credible locations. To help with the content we create a graphic communication flow within the infographics and videos that we submit to help clearly show why our ENT Doctor is the best choice for their clientele. As you can see, we produce content, info graphics, business reviews and ongoing content distribution on a weekly basis. This helps our ENT doctor rank on the 1st page of Google. Once your peer groups and local communities view you as the king of content, or the best source for information, Google will rank your local listing and website on the 1st page of Google as the best ENT Doctor in Los Angeles, or other targeted locations. Our SEO Company can manage multiple ENT Doctors around the United States because we only take on two clients per listing. © 2017 noxsterseo. All Rights Reserved.